Initially founded by the Romans, Saxons and then the Vikings, the roots of Cambridge spread far and wide across the globe, and have never stopped reaching. It goes without saying that, when it comes to the university’s impact on the city, the University of Cambridge draws amazing minds from around the world, students and leading academics alike. But the legacy of the University isn’t the only reason you can see the world in Cambridge. Read on to find out some of the ways staying with us in Cambridge can enrich your life and broaden your horizons! 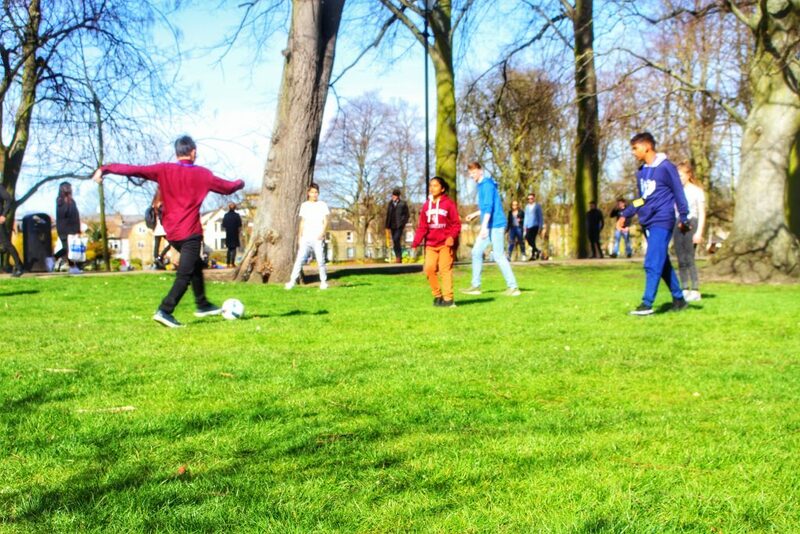 Football on Christ’s Pieces – according to Association rules, of course! When it comes to culinary delights, you can sample food from all around the world in Cambridge. Whether it’s tasting some fresh Vietnamese noodles, Chinese fried rice or Belgian waffles in the world-famous Marketplace, or whether it’s sampling the diverse restaurants in town (from established chains to quirky independent eateries), there’s cuisine from all around the world on your doorstep. And we could never forget the famous Chelsea Buns from Fitzbillies, which are such an institution that they are sent all around the world by post! We would be remiss if we didn’t mention the medical legacy that Cambridge has previously set, and continues to set, on the world’s stage. Renowned teaching hospital and research centre, Addenbrooke’s, is a centre internationally famous for transplants, the first in the world to achieve several specialist transplants such as the combined liver and pancreas transplant. It also has the largest neurological intensive care unit of its kind in Europe. Where research is concerned, the trials done here in Cambridge provide the data for medical breakthroughs with international impact; for example, just last year it was announced that scientists in Cambridge had collaborated with scientists in Sweden to develop a new way to target the toxic particles thought to cause Alzheimer’s. The breakthrough is the first of its kind and could result in the development of a cure for dementia – talk about world-changing! Finally (but by no means the end of this extensive list), Cambridge is also home to one of the most important technology centres in Europe. Named in reference to Silicon Valley in California, ‘Silicon Fen’ is a cluster of high-tech businesses built on the Fens (a coastal plain in Eastern England, part of which is situated in Cambridgeshire). Over 60,000 tech wizards from all over the world have made Cambridge their home so they can work at Silicon Fen, both in local headquarters of established companies and also for many start-ups. We’re guessing that nearby Cambridge airport (yes, an airport!) must be handy for business trips! Program Selfie featuring some of our students from all over the world! Given its status as an international centre of academic excellence, it’s unsurprising that there are some amazing museums in Cambridge. In Fitzwilliam Museum (the University of Cambridge’s art and antiquities museum), you can find original artwork by Titian (Italian), Rubens (Flemish), van Goyen (Dutch), Picasso (Spanish), Renoir and Monet (French). You can also gaze at beautiful antiquities from ancient Egypt, Greece and Rome, as well as modern rugs and samplers from China and Japan. Indeed, if you like antiquities, there’s also the Museum of Classical Archaeology, one of the world’s few surviving collections of plaster casts of ancient Greek and Roman sculpture (outside of Greece and Rome, of course!). You might also enjoy the Museum of Archaeology and Anthropology, where you can literally see the world without leaving the building by taking in its archaeological and ethnographic artefacts from all over the globe. It’s not just the ancient world at your fingertips in Cambridge. The Scott Polar Research Institute, as well as being home to a fantastic museum dedicated to Robert Falcon Scott’s famous Antarctic Expedition ( 1910-13), is still in action as a centre for research into worldwide glaciology and the polar regions. Perhaps unsurprisingly, the Scientific Committee on Antarctic Research (part of the International Council for Science) meets at the Institute. The museum keeps the world’s most comprehensive polar library and archives – and you can go and visit to see artefacts from the Expedition as well as brush up on contemporary environmental and social science research into the polar regions. We reckon Robert Scott would be very proud to see what the Institute is doing in his name. … On a Reach Cambridge course, of course! Watch our ‘Global Hello’ student testimonial video here!